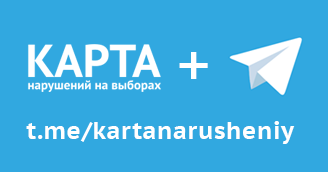 In the course of the current presidential campaign, the public authorities demonstrate selective approach to the campaign materials posted by citizens. It depends on the subject matter of the materials — whether they call on others to support the acting President or to think about the necessity of changes. 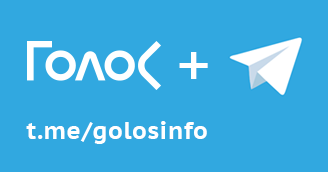 Using two examples from the Ivanovo and Chelyabinsk regions, Golos Movement demonstrates the discrepancy in the way the authorities treat different campaign materials and suppress distribution of those that they believe violate the law. 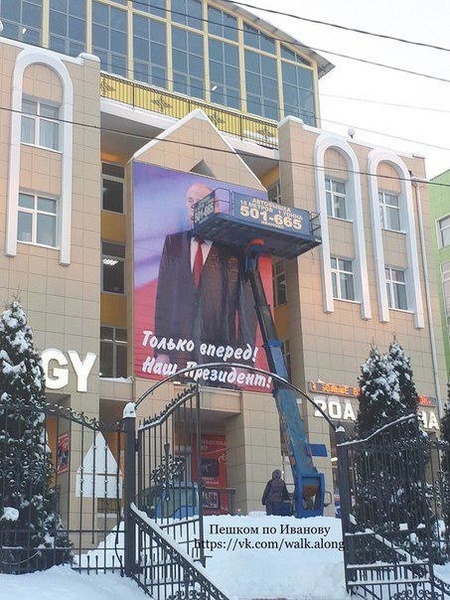 In the Ivanovo Region, the banner, ruled by the Election Commission to be illegal campaigning in favour of Vladimir Putin, has been hanging in the center of the city for close to two months, while the owner of the shopping center building refuses to take it down, and the authorities shrug their shoulders. 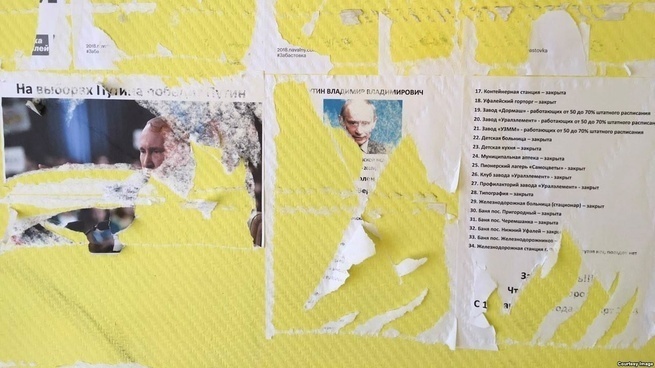 In the Chelyabinsk Region, meanwhile, the police rips off the walls the leaflets with the critical information about Vladimir Putin’s rule, which have been hung in the six stores by their owner, and which haven’t been declared illegal campaigning by the local Election Commission. A 6 by 9 meter banner with illegal propaganda in favour of Vladimir Putin has been hanging in the center of Ivanovo, on the building of the Vertical shopping center for close to two months now. The regional authorities pretend that they are unable to put an end to this disregard for the law. 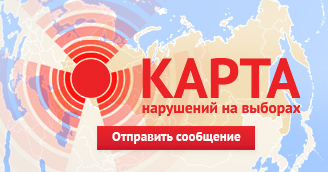 Information about large-scale seizure of Pravda leaflets with an article about candidate Grudinin, carried out by police around the country; exclusion from the Territorial Election Commission of the videoblogger and Navalny’s volunteer, becausehis video story showed a leaflet with the call to boycott the elections and was deemed to be illegal campaigning; persecution of Alexei Navalny’s supporters who urge people to skip the presidential elections in March of 2018 — all of these cases create the impression that the election organizers and law enforcement agencies are keen to take countermeasures against campaigning that they consider illegal. But the example from the Ivanovo Region speaks to the contrary. The inability (or unwillingness?) 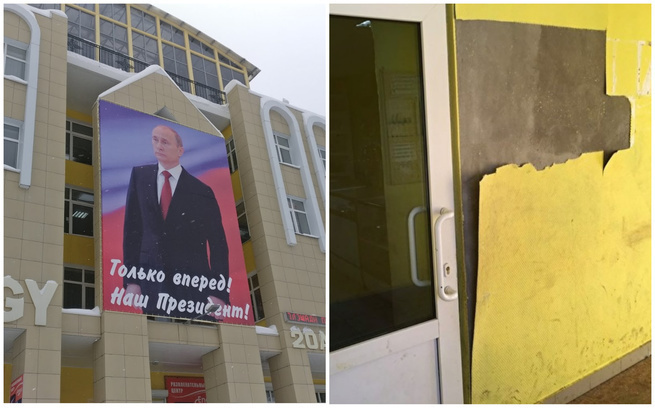 to take effective action to suppress illegal campaigning was clearly demonstrated by the authorities and law enforcement agencies of Ivanovo and by the Ivanovo Regional Election Commission in the case of Vladimir Putin’s portrait hanging on the building of the Vertical shopping center in the center of the town (Lenin Avenue, 20A). The huge banner with the portrait of the presidential candidate and the slogan “Only forward! 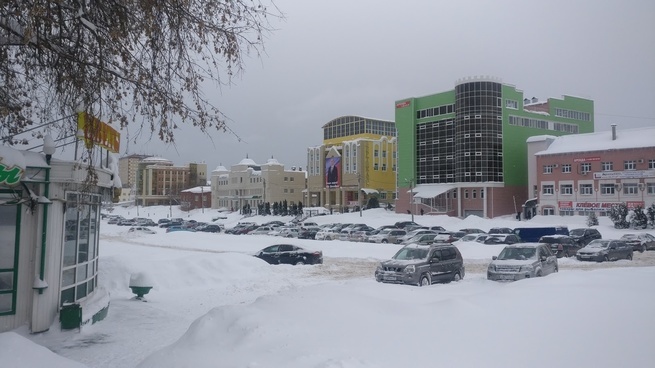 Our President” was installed in the center of Ivanovo in the middle of January. 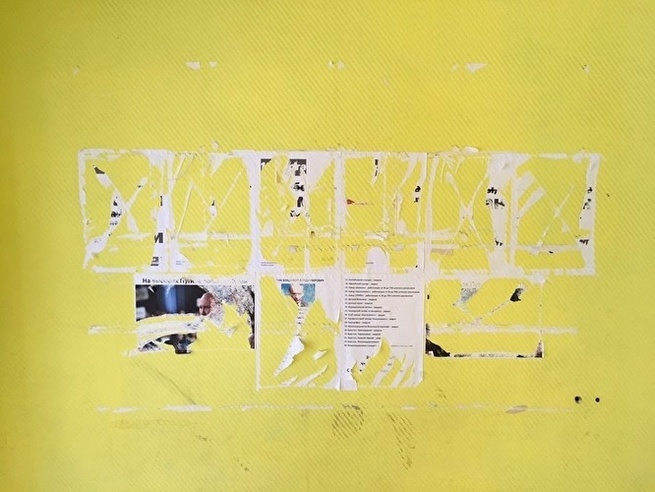 The 6 by 9 meter banner didn’t contain the required information specifying that its production was financed from the candidate’s electoral fund. 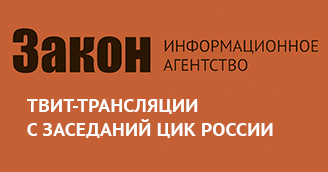 Citizens and representatives of political parties immediately sent a barrage of complaints about illegal campaigning to the different levels of authority: to the Golos Movement’s “Map of violations,” to the Ivanovo Regional Election Commission, to the Regional Office of the Ministry of Internal Affairs and the Prosecutor’s Office. 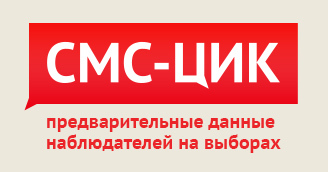 Articles about violation of electoral legislation appeared in the local print and online media (“Illegal Campaigning of Presidential Candidate Putin in the Town of Ivanovo,” “Power “Vertical” or Clumsy Assistance to Putin”). 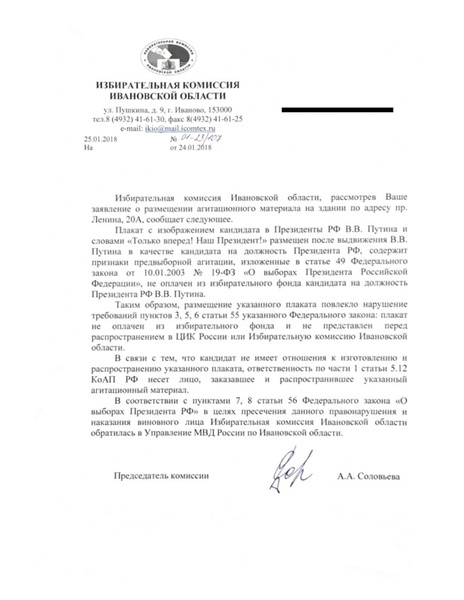 On January 24, the office of the Interior Affairs Ministry for Leninsky District of Ivanovo initiated administrative procedures under article 5.12 part 1 of the Administrative Code, which envisions liability for production or distribution during election campaign period of printed, audio-visual and other campaign materials in violation of requirements set by the electoral legislation. However, no effective action to eliminate the said violation has followed that decision to this day. The portrait continues to hang in the center of the town even as we speak. The Prosecutor’s Office for Ivanovo Region, which received a request to weigh in on the failure to act, demonstrated by the regional police and election commission, remains tight-lipped. 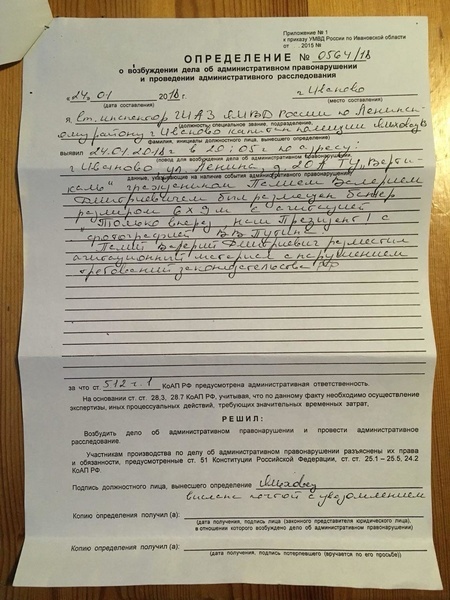 In a private conversation with one of the people who submitted the request, Interior Ministry representative said that the police transferred the case to the Leninsky Court of Ivanovo, which decided to drag its heels and set the date of hearings for March 14. There’s no doubt that the court will rule the banner to be illegal and will compel the owner to take the portrait down. By but that time even Putin’s businessman admirer is unlikely to object: the election period will be almost over and there won’t be any sense in campaigning. Or in fighting illegal campaign materials, for that matter. Ivanovo residents don’t really believe in this ostensible impotence, because they remember promptness, with which the law enforcement agencies seized Navalny’s leaflets, or how they prevented a truck driver from placing Navalny sign on his truck by forbidding the printshop to fulfill the prepaid order. The same is true of the portrait: had it depicted some other candidate, the authorities would doubtless take no more than a few hours to remedy the violation. Meanwhile, znak.com reports that authorities demonstrated a completely different approach towards campaign materials posted by businessman Nikolai Korshunov at his stores located in the town of Verkhny Ufaley. The businessman himself told the jouranlists that on the eve of the public holidays, the policemen visited all six venues of his market chain and took down the information materials posted on the walls. 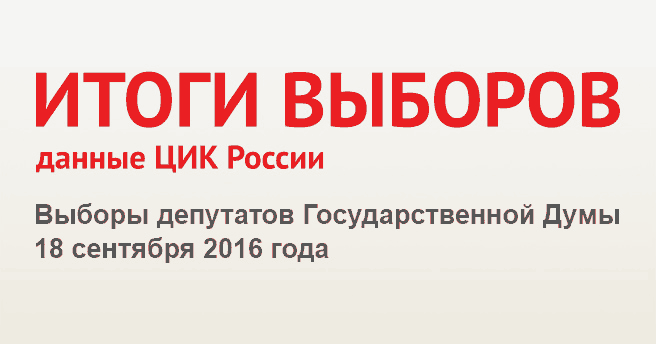 The leaflets listed the results of Vladimir Putin’s 18-year rule in regards to this specific fown. The businessman doesn’t agree that these leaflets are campaign materials, because they only contain statistical information with no appraisals and calls to action. He recovered some of the materials and doesn’t think he violates the law. The journalists note that this isn’t the first time that the law enforcement agencies take issue with Nikolai Korshunov. 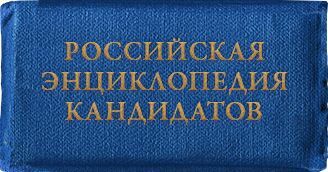 In the fall of 2016, in the heat of the State Duma election campaign, the police accused the entrepreneur of producing and posting campaign materials in violation of electoral legislation requirements (part 1 of article 5.12 of the Administrative Code). 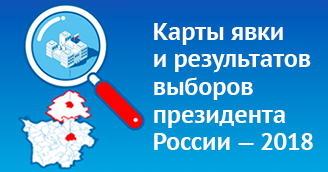 The action was triggered by the appearance of leaflets posted in Korshunov’s stores, which — according to the policemen — could encourage the voters to vote against the United Russia party. However, the magistrate court that reviewed the administrative case failed to support the police officers’ position. “I believe that since these stores are my property, I have the right to post any information there, and Constitution permits this. But I meet with opposition from the law enforcement agencies and the authorities of our small town. This is what happened on the eve of the Duma elections in 2016, and this is what’s happening now,” says Nikolai Korshunov. 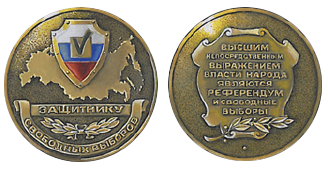 During 2016 State Duma elections, Verkhny Ufaley distinguished itself by the fact that only four United Russian candidates out of twenty total made it to the local parliament.